Tonight my son and daughter had a little fight. She came to me saying that he called her "kookoo" קוקו (crazy) - he claimed he only said she had a kookoo (a ponytail). I wasn't terribly interested in their bickering, but the linguistic question got me wondering - are the two words related? c.1240, from O.Fr. cucu, echoic of the male bird's mating cry (cf. Gk. kokkyx, L. cuculus, Skt. kokilas). Slang sense of "crazy" (adj.) is Amer.Eng. 1918, but noun meaning "stupid person" is first recorded 1581, perhaps from the bird's unvarying, oft-repeated call. 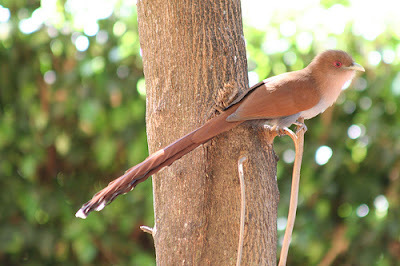 The English words "kook" and "kooky" are apparently also derived from the cuckoo. In regards to the imitative origin of the name of the bird, Klein points out that the Talmud also mentions a bird with a very similar name: קוקיתא kukyata (spelled קקואתא in the Vilna edition of Hullin 63a). The identity of this bird is unknown, but its name also likely comes from the sound it makes. The words peek, keek, and peep all were used with more or less the same meaning 14c.-15c. ; perhaps the ultimate source was M.Du. kieken. 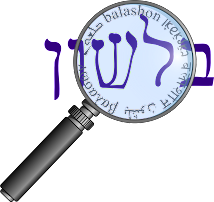 Knowing all this also helps us understand that the surname of Israel's first chief rabbi - Rav Kook - isn't related to the bird, but rather comes from the German / Yiddish word meaning "to look".